Story and photos by Roger Lainson, based in Sydney. My recollection of childhood in Brighton and Hove is that all trains were EMUs, except that every year the family went on holiday to Devon in a REAL train - hauled by steam in the form of a Bulleid loco ! So I was an early Bulleid admirer, and on page 167 of A.J. 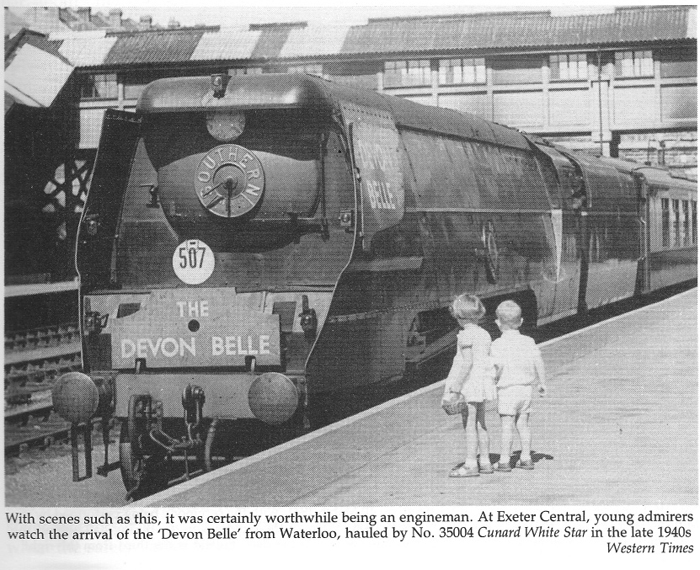 Fry's book "Bulleid Power" there is a photo which may actually be myself and my sister, both very young, admiring a Merchant Navy at Exeter Central. 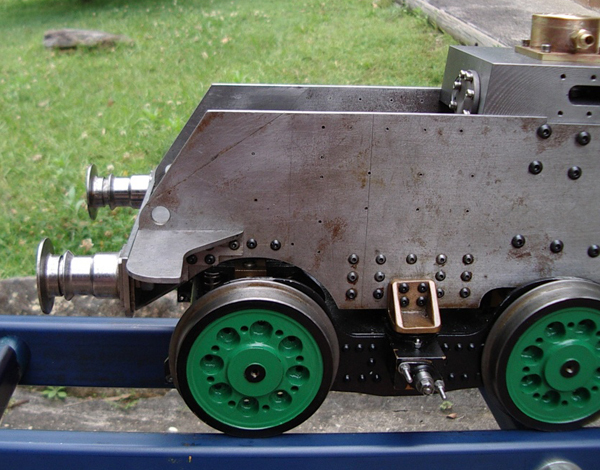 Hence when I decided to build a 5" gauge loco some years ago, a M.N. (un-rebuilt, of course) was the obvious choice. I managed to suppress the knowledge that this was an unwise choice for a first loco, mostly arguing that one might as well get on with the loco of one's dreams, rather than first build something simpler, but not really likeable. I had previously built some stationary models and a freelance steam tractor, but I soon realised the M.N. was going to be a long and challenging job. Like David on these pages, I have been working with Keith Wilson's Ariel design, with modifications back to the un-rebuilt state. I too started with some parts acquired from a fellow modeller - in my case, cut and drilled frames, plus wheel castings - and likewise also had to "put back" the front top corner of the frame. The driving wheel castings also included cast-in balance weights, which of course were not on the original BFB wheels, so I removed these partly by milling, but mostly by hand with a Dremel tool. I also bought a few more bronze castings (bogie centre & stretcher, axleboxes, smokebox door etc) from M.J. Engineering while on a trip to the UK. Backwards re-engineering from the Ariel design to the un-rebuilt MN is something of a nuisance, and probably full of traps. For example, I have only recently noticed (while designing the centre cylinder) that during the rebuild, the chimney and blast pipe were moved forward by about a foot. I have never seen this (admittedly obvious) point mentioned in the books, but fortunately I have a few prints from the original drawings, purchased from the NRM at York. Unfortunately I can't easily pop out and look at a full size MN or West Country from here in Sydney, Australia ! So far (11 years down the track, but with very little spare time), I've completed the tender up to tank level; the main frames, wheels, axleboxes, springs, bogie and trailing truck; the valve gear; and I'm working on the cylinders. I chose to machine the latter from solid flow-cast iron (starting with round bar and the club band-saw), and I'm very happy with this choice - the stuff machines beautifully and there are absolutely no blow-holes or chilled spots. The cylinders will be somewhat heavy, but I don't regard that as bad thing. 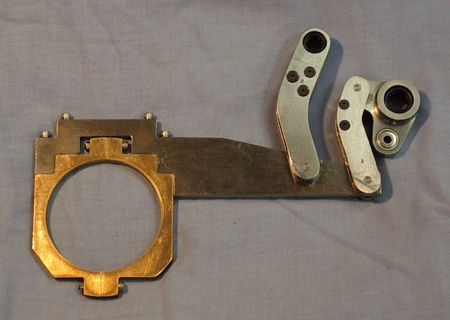 The design is a bit simplified, but uses piston valves with outside admission as in the original. The valves for the outside cylinders will be operated by a pivoting link, but without the 3:8 step-up ratio of the original, because I'm not using the original chain-driven miniaturised Walschaerts valve gear. The valve gear took a lot of time and a lot of thought, after I rejected a faithful reproduction as too fiddly for my skill level. I initially contemplated something as crude as slip eccentrics, but my ultimate solution to the "chain problem" is a complete re-design of the valve gear, using a version of 'Southern' gear. In this, an ordinary eccentric rod is supported by a radius hanger, so that the outer rod end has some up and down movement, depending on the angle of swing of the hanger. This up and down movement is converted to horizontal valve movement via a bell-crank. Typically, outside Southern gear has a prominent curved link with a die block to support the top of the radius hanger, but when between the frames this is unnecessary and the hanger pivot shaft is supported by a couple of internal pivot arms. 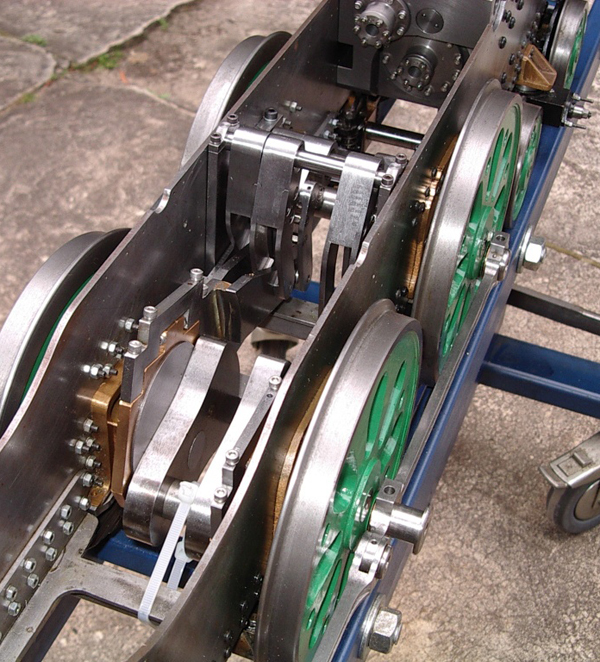 The end result is a fairly simple gear, with 3 sets fitting between the frames, using 3 eccentrics on the crank axle, and with all the joints using needle cup roller bearings with O-ring grease seals (hence no oil bath). I hope to have it running on compressed air fairly soon. A slight compromise was to offset the centre cylinder a little (5/32") in order to make all three eccentrics a decent width. I used Charles Dockstader's brilliant (and free) valve software to design the gear, and Charles was extremely helpful when I wanted a couple of custom modifications, emailing back new versions within 24 hours - superb service for the price! The most important modification was to "bend" the eccentric rod downwards at the end, basically so the bell-crank could clear the bottom of the boiler. The detailed design involved seemingly endless trial-and-error adjustments of link lengths and pivot points, and took a lot of time. 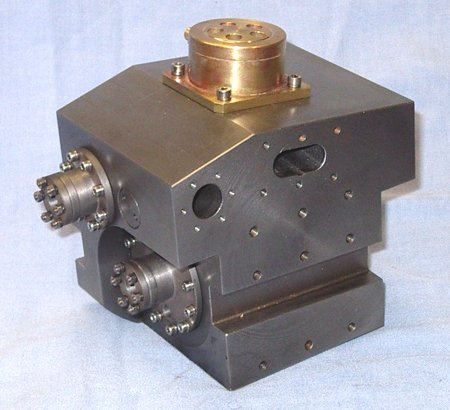 Gear design essentially involves a trade-off between competing distortions, always constrained by requirements for clearances and metal thicknesses. In the final simulated version, the valve events are almost as good as the original chain-driven gear, at least in forward (and only slightly worse in reverse, which I don't plan to use very much). My feeling is that Oliver Bulleid would have approved ! In fact going further - my suspicion is that Walschaerts gear was popular largely because it was practical, gave good events, and also easy to lay out on a conventional drawing board. In contrast, trial-and-error design like I have done would have taken dozens of sheets of paper, tons of india-rubber for rubbing out, hundreds of pencils, and thousands of man-hours. But if Bulleid had had access to a PC and Charles Dockstader's software, allowing fiddling with instant results, he may well have chosen another gear, such as Southern. By all accounts, Bulleid was a man who rated function well above tradition, and I have no qualms in "extending" his design in this way. I still have the outside cylinders and slidebars to machine, but hope to be able to report on the actual performance and durability of the valve gear ... any decade now ! The identity of the loco is not yet decided, but it may turn out to be 21C3 "Royal Mail", if only because I had an Aunt who travelled on that line to pop "home" from Uruguay; I reckon to have a similarly long journey still ahead of me . . .